Having a dual or multiple monitors setup is really help in multitasking. At my office, I have a triple monitors setup, my main Surface Book display, a 29-inch ultrawide, and a 21.5-inch monitor on either side. With that setup, I can view multiple websites up to 6 websites side by side for doing research, writing articles, and doing many other things. When I work outside my office, I also have my own portable multiple monitors setup. I don’t have a portable monitor, but instead, I have used my Surface 3 as a portable wireless display and it works pretty well for web browsing and most activities. 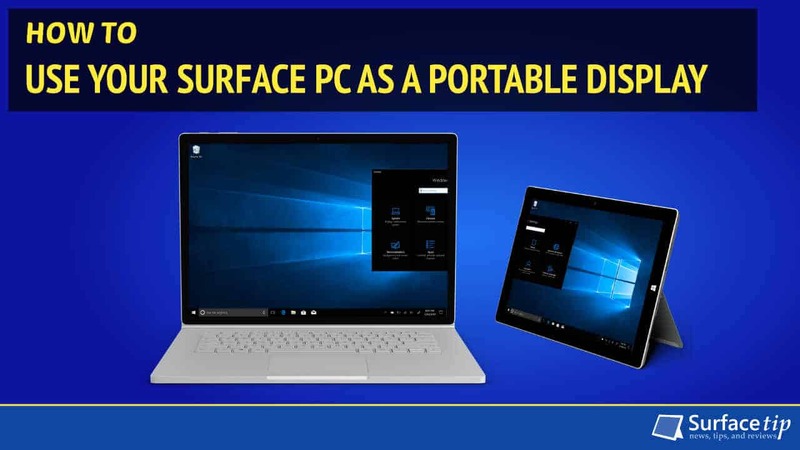 In this guide, I will walk you through the steps to connect and configure your Surface PCs as a portable wireless display. Running Windows 10 with Anniversary Update or later. Connecting to the same network. This feature will work on either a wired network or wireless network. However, if you want the best performance, connect your both Surface PCs to the same wired network via USB to Gigabit Ethernet adapter. 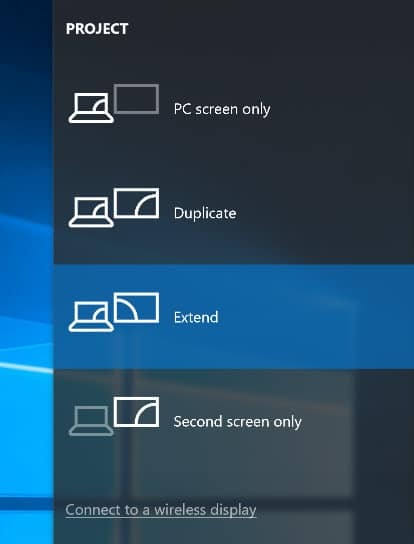 Surface PCs with the Miracast protocol Support. Fortunately, all Surface lineup except the original Surface RT support this protocols. Click here for detailed Surface support for Miracast. In this scenario, I will use my Surface Book as the main PC and a Surface 3 as a portable monitor just like the picture above. Let’s get started! Click on Projecting to this PC. Select Available everywhere or Available everywhere on secure networks from the first option. Select First time only or Every time a connection is requested from the second option. If you don’t want to confirm every time you connect, choose the First time only option. Turn on the Required PIN for pairing, if you need an extra protection. 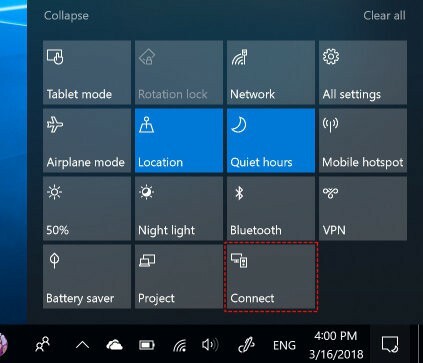 Make sure you turn off the “This PC can be discovered for projection only when it is plugged in as you will use your Surface PC as a portable display. Finally, you will need to confirm Yes when you project from another computer to this PC. Click the name of remote wireless display PC (Surface 3) you want to project. You may need to confirm the connection on another PC (Surface 3) depending on your configuration. If the connection fails, you will need to try again. 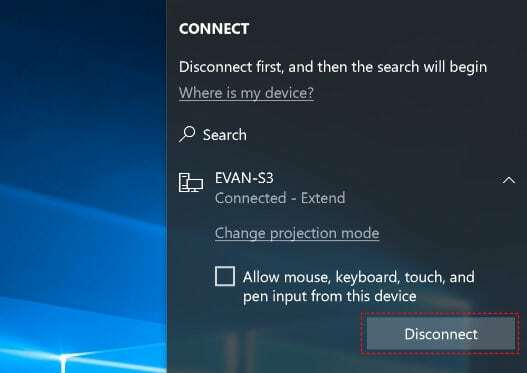 Once connected, Toggle the “Allow input from a keyboard or mouse connected to this display”, if you also want to use the remote computer (Surface 3)’s mouse, keyboard, touch, and pen input on your main PC (Surface Book). 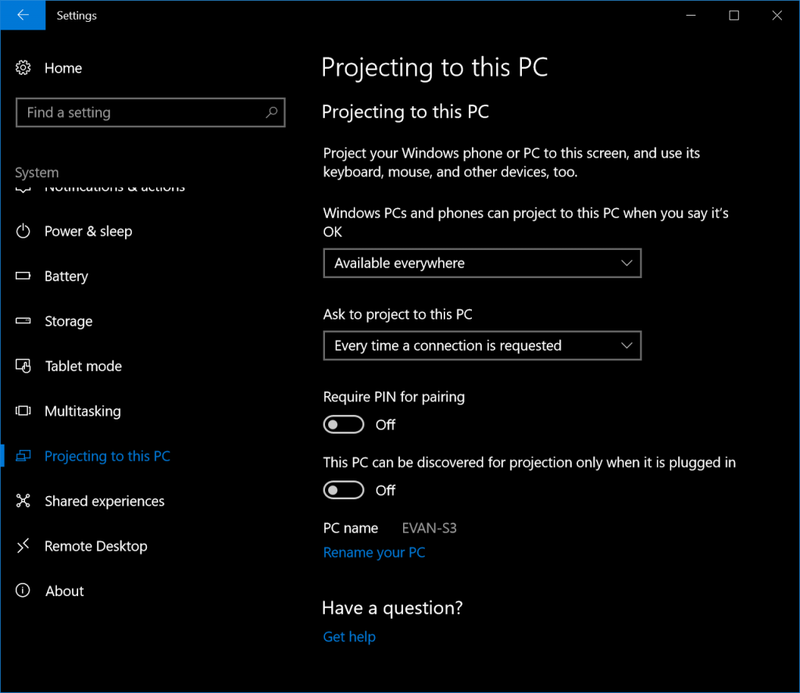 You can also change the projection mode just like a real connected monitor, by clicking on Change projection mode or just press Win + P on your keyboard. Finally, when you finish your work click Disconnect to stop your connection. We appreciate hearing your thoughts, questions, and ideas about “How to Use Your Surface PC as a Portable Display”. Please post respectful comments and on topic. We will be replying back to you as soon as possible. Share your idea about "How to Use Your Surface PC as a Portable Display".